If you are serving as the executor for a nonresident who is now deceased, you may be responsible for reporting certain of his or her U.S. assets to the Internal Revenue Service. This is accomplished by filing with the IRS Form 706-NA (United States Estate (and Generation-Skipping Transfer) Tax Return, Estate of Nonresident Not a Citizen of the United States). This form, as the IRS instructs taxpayers, must “be filed for decedents dying after December 31, 2011.” The equivalent form for U.S. citizens and residents is Form 706 (United States Estate (and Generation-Skipping Transfer) Tax Return), which should “be filed for decedents dying after December 31, 2017.” Our estate planning attorneys examine this IRS requirement in closer detail, including who counts as a nonresident for U.S. tax purposes, what types of U.S. assets are subject to estate taxation laws, and a few situations where unique rules might arise. If you need assistance reporting a nonresident’s U.S. assets, or simply have general questions about domestic or international estate planning, depend on the knowledgeable tax attorneys and CPAs at the Tax Law Office of David W. Klasing for clear and effective support. Who is a Nonresident for Tax Purposes? A taxpayer is generally considered to be a nonresident (“alien”) by the IRS for U.S. tax purposes if he or she is not a U.S. citizen, unless the taxpayer passes one of two tests, which are known as (1) the “substantial presence test” and (2) the “green card test.” That said, there are some situations where the same taxpayer is deemed both a resident and a nonresident in the same tax year. Such taxpayers are referred to as “dual-status aliens.” For more detail on this subject, you might be interested in our articles discussing nationality and residency for federal tax purposes, the distinction between legal residents and tax residents, or, for more general information, our overview of U.S. taxes for nonresidents. What Are “U.S.-Situated Assets” and How Do I Report Them to the IRS? But it isn’t just the type of asset that matters; the value of the asset is also critical. As the IRS explains, Form 706-NA must generally be filed “if the fair market value at death of the decedent’s U.S.-situated assets exceeds $60,000.” Note, however, that exceptions may apply in cases where the nonresident utilized the IRS’ $13,000 unified credit exemption “to eliminate or reduce any gift tax on… lifetime gifts” of property. In such scenarios, it may still be necessary to file Form 706-NA, “even if the value of the decedent’s U.S.-situated assets is less than $60,000 at the date of death” (italics our emphasis). Of course, nonresidents are not the only ones who are subject to estate taxation in the United States – so are U.S. citizens. In either situation, careful guidance from an experienced U.S. and international tax attorney is necessary to avoid costly missteps and make tax compliance easier. Does the IRS Make Any Exceptions to U.S.-Situated Assets? Bank accounts not used in connection with a trade or business in the U.S. Unique regulations apply to “covered expatriates.” The IRS defines this term to mean “U.S. citizens and long-term residents who relinquished their U.S. citizenship or ceased to be U.S. lawful permanent residents (green card holders) on or after June 17, 2008,” provided certain financial thresholds are also met. Certain gifts and bequests from these nonresidents may be subject to a “transfer tax” in accordance with 26 U.S. Code § 2801 (imposition of tax). Under this section of the Internal Revenue Code (IRC), “covered gifts and bequests” are generally defined, at 26 U.S. Code § 2801(e), to mean property from covered expatriates (whether living or deceased). 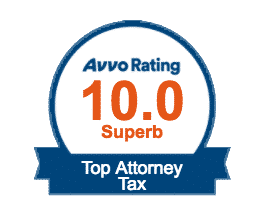 At the Tax Law Office of David W. Klasing, we have established a reputation for untangling complicated international tax issues, drawing on more than 20 years of combined legal, tax, and accounting experience to help you plan for the financial future more successfully. To set up a reduced-rate tax consultation about tax planning for non-citizens, contact the Tax Law Office of David W. Klasing online, or call us today at (800) 681-1295.